ADDIS ABABA, Jan. 30 (Xinhua) -- Ethiopian Airlines Group, the fastest growing aviation group in Africa, has envisaged to realize its ambition of becoming Africa's leading aviation hub with its latest Chinese-built infrastructure. Ethiopia's flag carrier on Sunday inaugurated an expansion project at the Bole International Airport in the capital Addis Ababa, which was funded and built by China with a construction cost of some 363 million U.S. dollars. The newly inaugurated terminal, with funding from the Export-Import Bank of China and built by the Chinese construction giant China Communications Construction Company, has an annual capacity of serving about 22 million passengers, eventually tripling the airline's current capacity towards making Addis Ababa as the aviation hub of the African continent. Ethiopia's Prime Minister Abiy Ahmed said during the inauguration ceremony on Sunday that "What we learn from today's inauguration of the new passenger terminal is that we have a lot of work ahead of us." "We expect the Board and the Management (of Ethiopian Airlines Group) not to be complacent with the new terminal, but rather to aim for a bigger facility with a capacity to accommodate at least 100 million passengers," Ahmed said. The newly expanded airport terminal is equipped with amenities and high-tech systems of 21st century global airport hub, including improved baggage handling and latest technology security machines along with modern passenger service packages, it was indicated. The new passenger terminal features the latest technology security systems, self-check-in machines, self-boarding system, lounges, duty free shops and other amenities, it was reported. Ahmed, together with the Chairperson of the African Union (AU) Commission, Moussa Faki Mahamat, also inaugurated another Chinese-built hotel, which was constructed with about 65 million U.S. dollars. 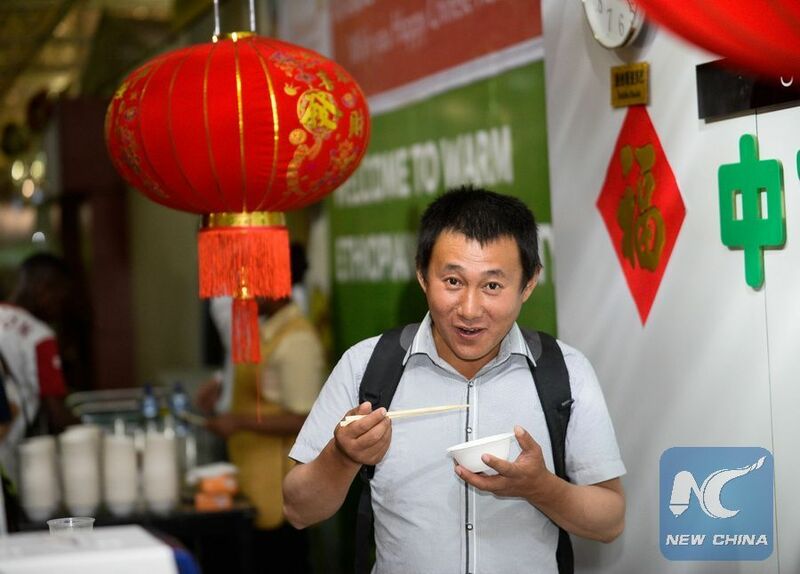 Hosting the largest Chinese restaurant in Africa and a conference hall with a capacity of accommodating some 2,500 people, 373 guest rooms and spacious executive suites, the newly inaugurated Ethiopian Skylight Hotel is said to enable the airline to offer packaged tour and travel programs. The hotel would enable Ethiopian Airlines to attract around a third of tourists out of the 6 million passengers transiting through Bole Airport to visit Ethiopia, the airlines said. Ahmed, who noted that "Ethiopian Airlines is our national pride and a special icon among our companies as it carries our common name Ethiopia and our national flag," also spoke highly of the new infrastructure in modernizing the sector. "The new hotel Ethiopian Airlines inaugurated today will enable us to attract tourists, and will serve as a model for other companies to emulate," he said. The newly inaugurated terminal and luxury hotel are said to be part of the Ethiopian Airlines' Vision 2025 strategic roadmap, as the company currently implements a 15-year strategic plan aimed at becoming Africa's leading airline group. Ethiopian Airlines Group CEO Tewolde Gebre-Mariam said that the expansion project would further boost Ethiopia's flag carrier's share in Africa's aviation sector. "This grand terminal building is further evidence of the development of Bole Airport as one of the largest and most convenient global aviation hubs," Gebre-Mariam said.